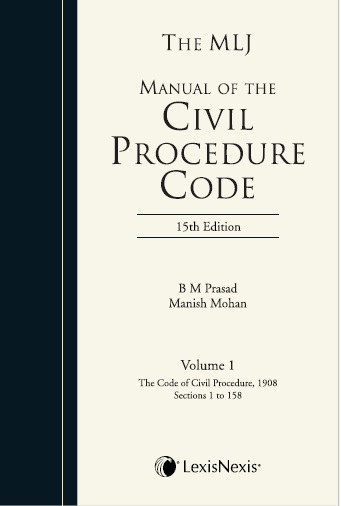 The MLJ Manual of the Civil Procedure Code, 15th edition, has been thoroughly revised and updated with the incorporation of the latest statutory amendments, including State High Court amendments and extensive case law. Cause titles and parallel citations have been added in respect of cases incorporated in this edition. The book contains all statutory provisions of CPC along-with the relevant schedules and allied acts. The commentary is written in a manner so as to meet the expectations of not only the bar and bench, but also the educationists, comprising of teachers as well as the law students.